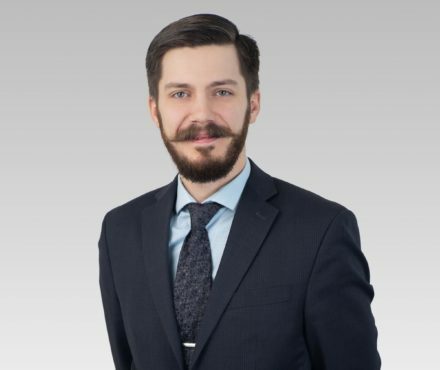 Dmitrii Terpylo practices with Lindsay Kenney’s family law group in Langley. A proponent of alternate dispute resolution in family law matters, Dmitrii believes that his clients are best served through negotiation and mediation. When these approaches are unsuitable, Dmitrii is a strong and effective litigator. Born and raised in Kiev, Ukraine, Dmitrii immigrated to Canada in 2007. After completing his business administration degree in New Brunswick, he moved to BC to study law at UBC. Following his call to the Bar in 2014, Dmitrii practiced in boutique law firms in the Lower Mainland gaining diverse exposure to a number of practice areas including civil litigation, construction law, insurance law, personal injury, and criminal law. Dmitrii’s personal, educational, and professional experience make him uniquely attuned to the many legal, practical, and cultural issues that can arise in matrimonial disputes. Dmitrii most enjoys working with clients to navigate complex financial structures to help them achieve favourable property division results. He is equally adept at handling matters involving high conflict parenting disputes to help his clients achieve a measure of certainty and stability in their relationships with their children. Outside of his law practice, Dmitrii enjoys cooking and foraging for wild mushrooms.